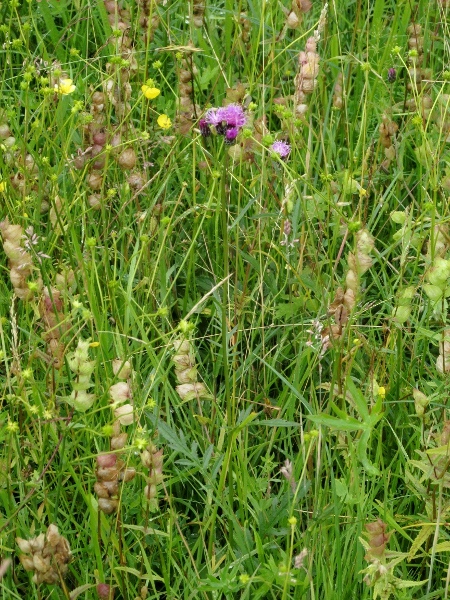 Growing in a damp meadow alongside Rhinanthus minor, Ranunculus acris and others. 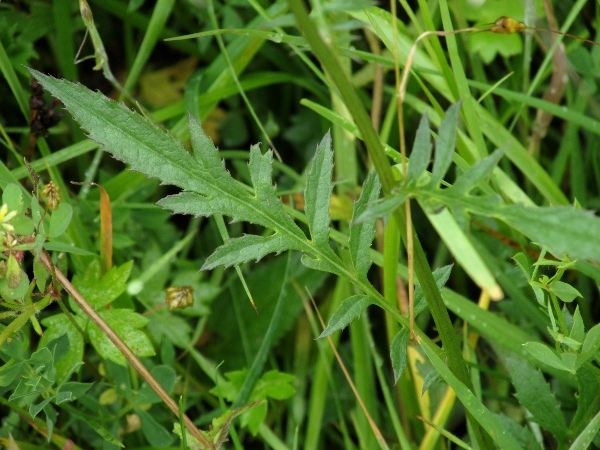 The cut leaves of Serratula tinctoria give it its vernacular name of ‘saw-wort’. 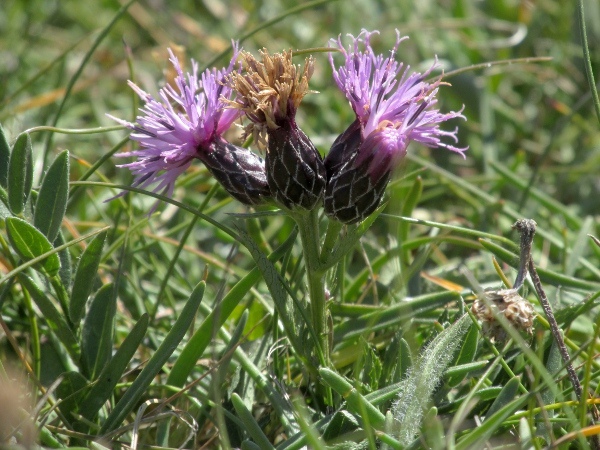 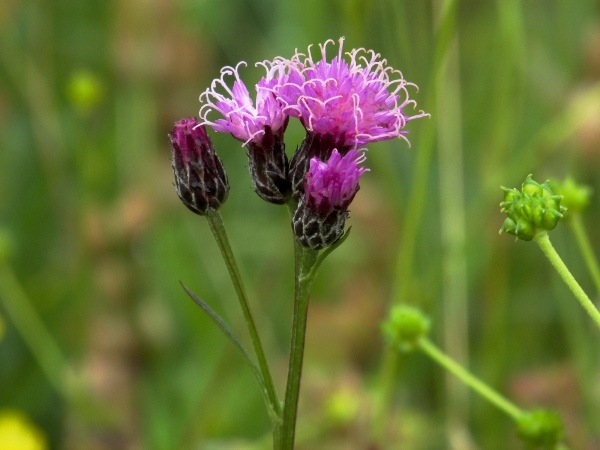 In coastal heaths, Serratula tinctoria can be only a few centimetres high.